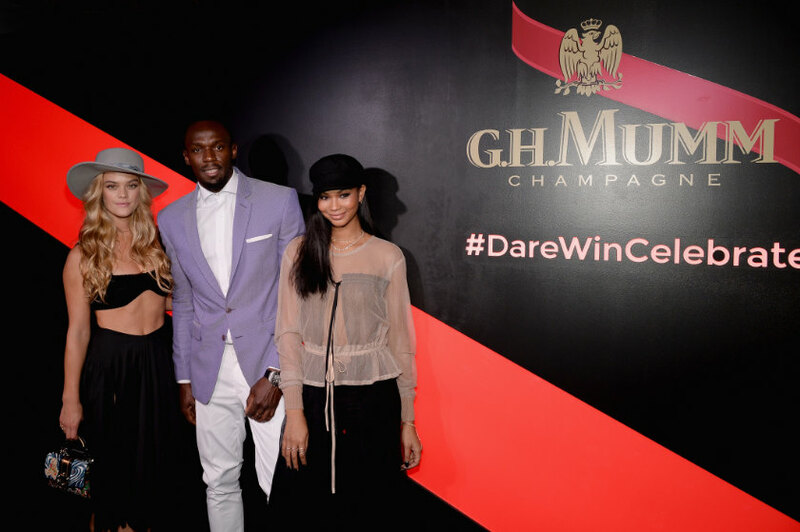 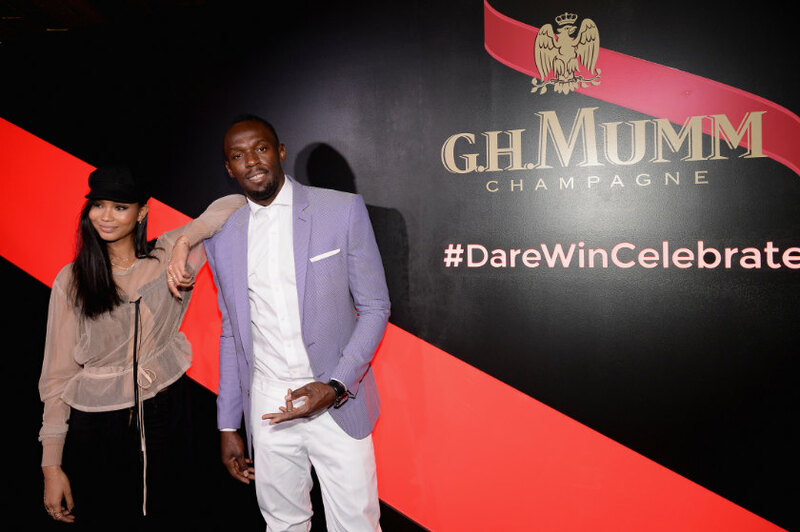 Storied champagne house G. H. Mumm has again shown off its new, award-winning bottle design for Mumm Grand Cordon, with Olympian Usain Bolt doing the honours in New York during the Kentucky Derby. 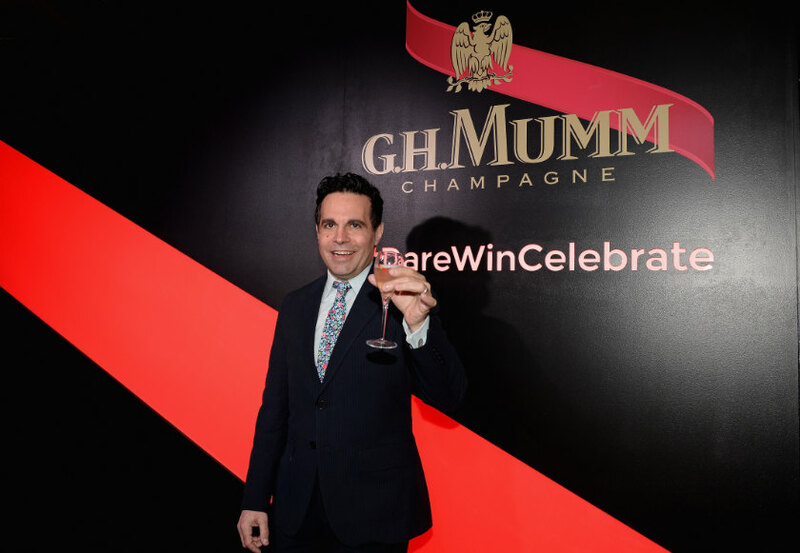 Other VIPs attending the event were models Chanel Iman and Nina Agdal, and actor–comedian Mario Cantone. 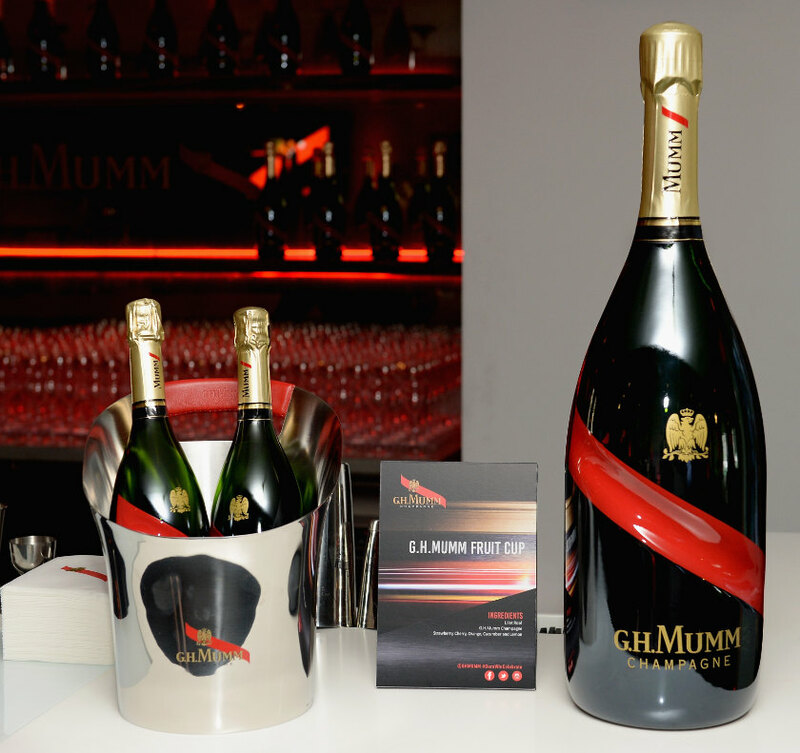 The new bottle has been designed by Welshman Ross Lovegrove, with the iconic red sash indented into the glass, with no front label. 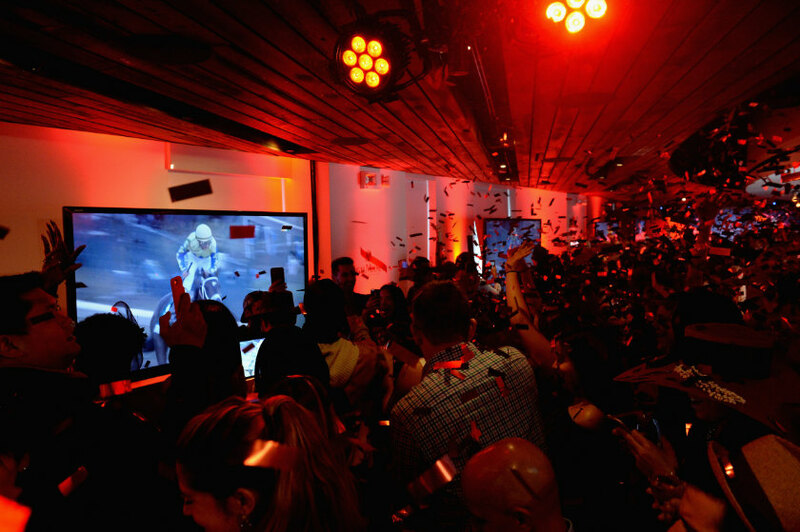 The design has already won gold at the Grand Prix Stratégies du Design. 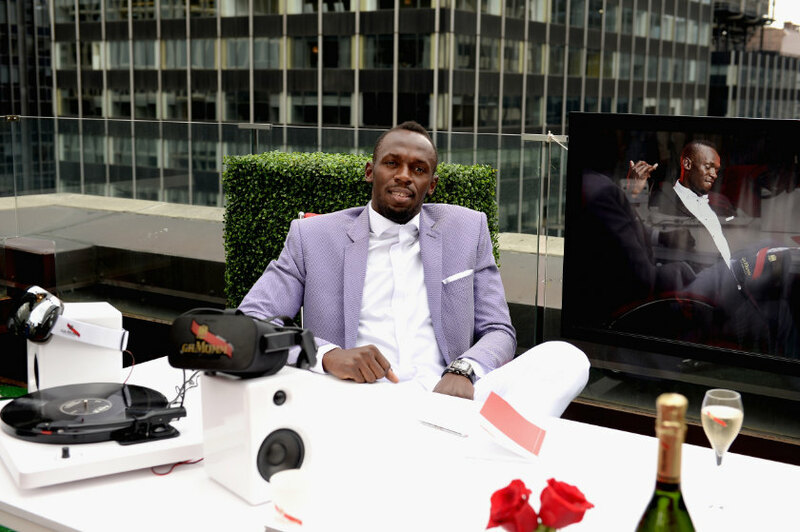 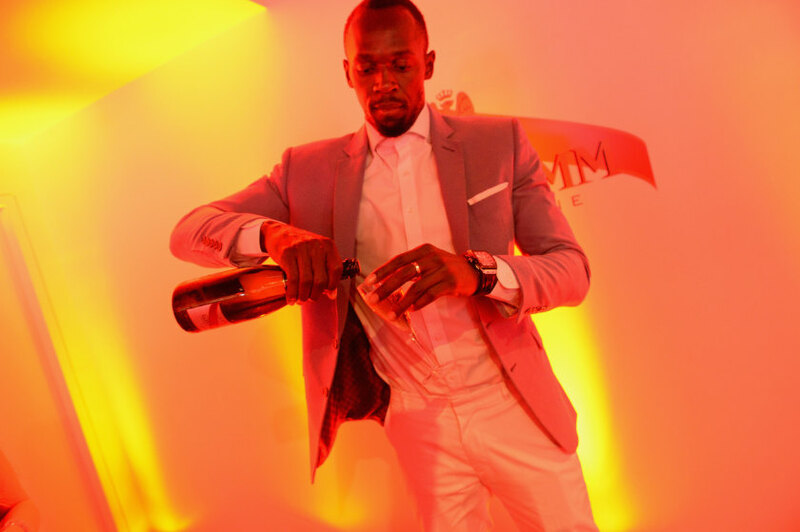 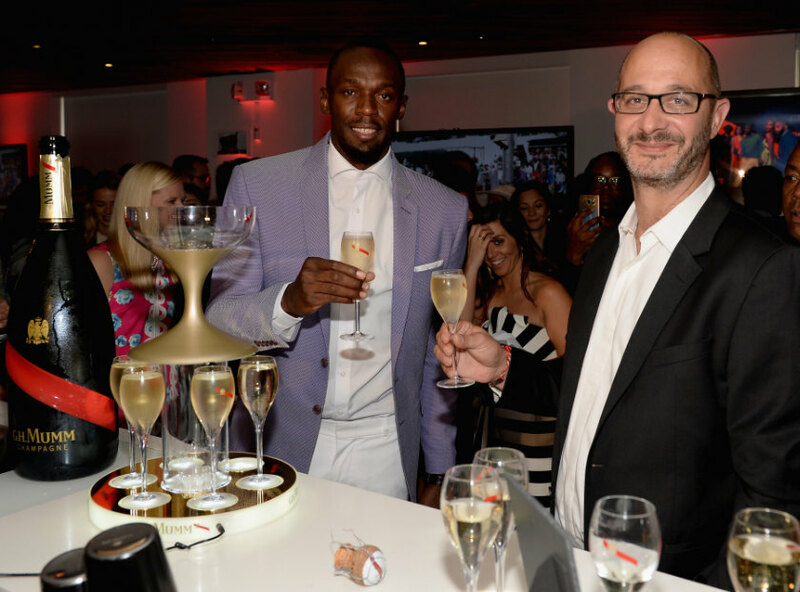 Bolt is Mumm’s “CEO”, or Chief Entertainment Officer, a newly coined title as a celebrity spokesman for the brand, and led the celebrations at the launch. 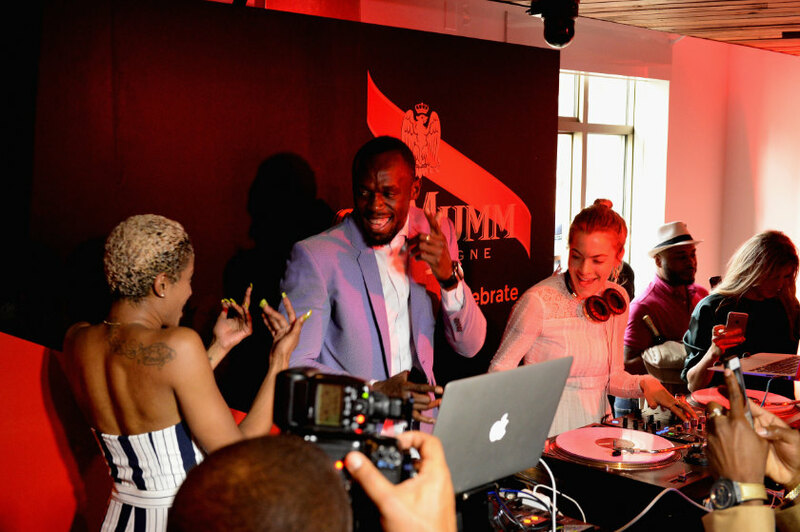 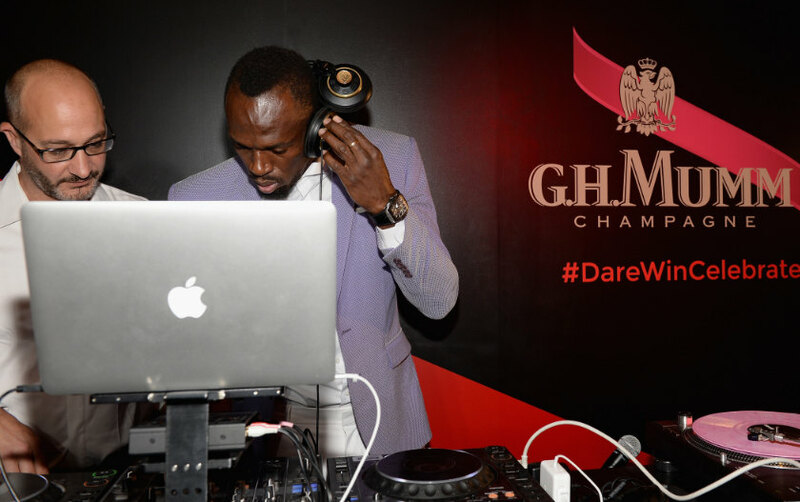 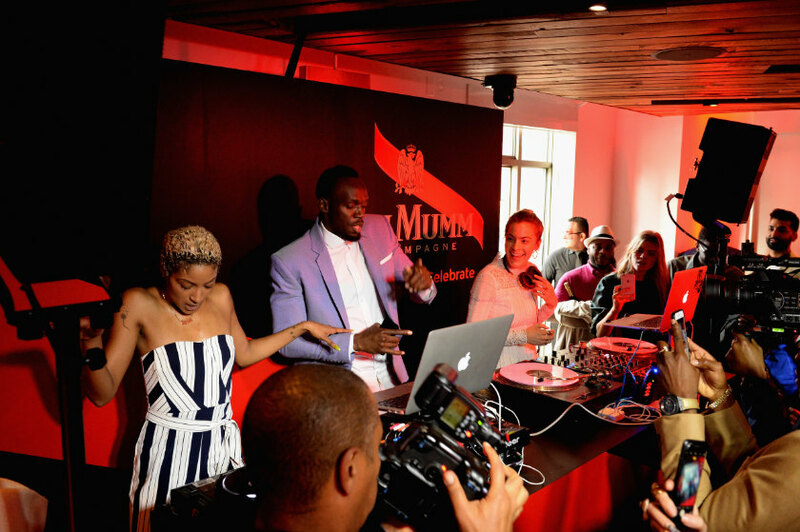 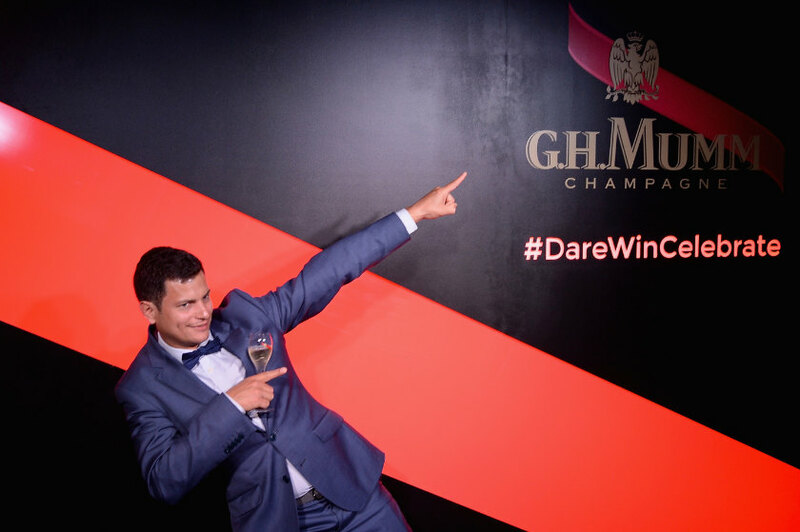 The party atmosphere even saw Mumm cellar master Didier Mariotti engage in a battle on the turntables with Bolt, when the pair took over from DJ Chelsea Leyland. 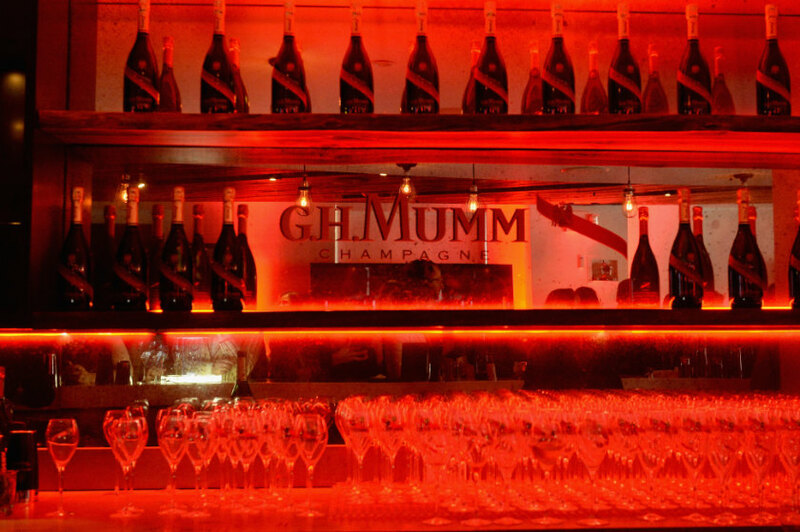 Mumm Grand Cordon celebrates its 140th anniversary this year. 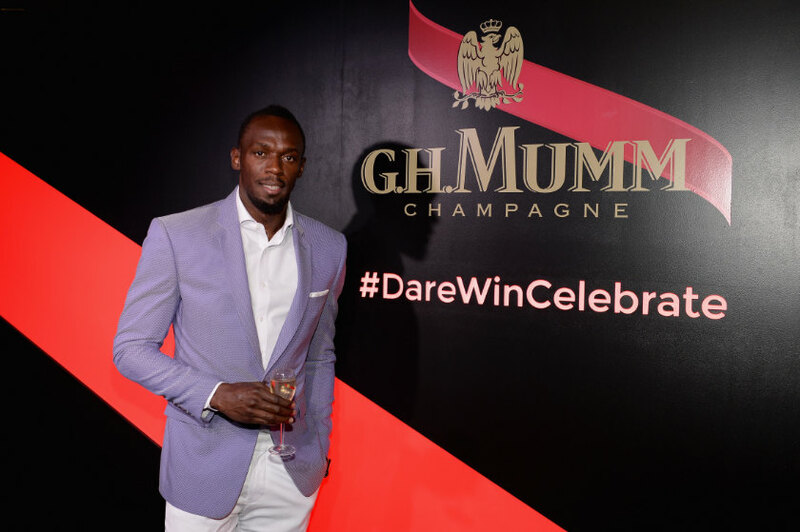 Mumm is the Derby’s official champagne partner.